Leonardo DiCaprio's most recent film, Inception, is a sci-fi tale about planting ideas into another's subconscious. The idea that DiCaprio would like to get across to us (in a more conventional fashion) is that travel isn't just about enjoyment, it is about responsibility. He is embarking on journey to Asia to learn more about the critical decline of tiger populations. Tiger populations are shrinking fast as the species is threatened by habitat loss and illegal poaching. 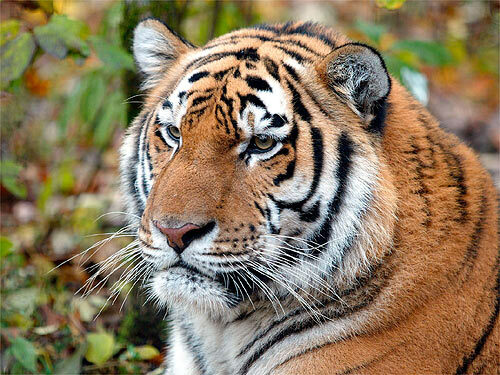 Three tiger sub-species have been made extinct since the 1940s and a fourth one, the South China tiger, has not been seen in the wild for 25 years. But tigers can thrive if they have strong protection from poaching and habitat loss and enough prey to eat. "Tigers are endangered and critical to some of the world's most important ecosystems," says DiCaprio. "Key conservation efforts can save the tiger species from extinction, protect some of the planet's last remaining wild habitats and help sustain the local communities surrounding them. By protecting this iconic species, we can save so much more." After DiCaprio was briefed by the WWF conservationists about the plight of these majestic animals, they decided to partner on a campaign to help raise awareness about the threats to tigers and raise funds for tiger preservation efforts. In honour of the Chinese Year of the Tiger, an ambitious goal of raising $20 million has been set with the vision of doubling the tiger population by 2022, the next Year of the Tiger. DiCaprio is travelling to Asia with WWF experts to see the threats tigers face first-hand. He will participate in anti-poaching patrols, meet with park guards on the frontlines of protecting tigers from international traffickers, and explore the best ways to protect these amazing creatures. The Save Tigers Now (www.SaveTigersNow.org ) website will allow supporters to follow DiCaprio's journey and participate in the effort to save tigers. "Give tigers enough space and protection and they'll recover," said WWF CEO Carter Roberts. "But public support means everything and changing laws and ending demand for tiger parts means we need to tell their story - in places like the U.S., India and China. Which is why this partnership with Leonardo is so important, he can reach the public, tell this story to our children and engage leaders around the world - to save tigers now." Launched in 1998, the Leonardo DiCaprio Foundation places particular emphasis on the issues of climate change, water, disaster relief and preservation of the planet's biodiversity. The Foundation supports effective organizations and programs working to address these issues and facilitates collaborative efforts to effect positive change.